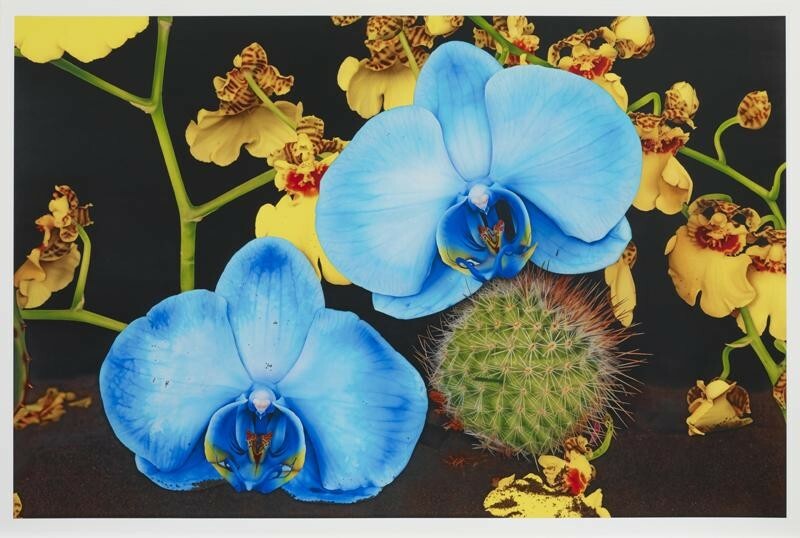 Quinn's orchid prints explore two persisting leitmotifs of his work – beauty and death. They investigate beauty as it manifests itself in the natural world through flowers, and how it is mediated through human intervention. For his flower pieces Quinn makes various installations selecting a wide range of species from different continents that would never bloom at the same time. 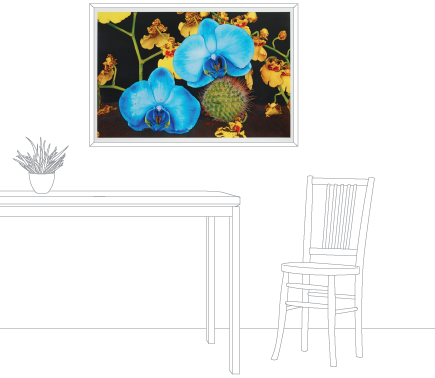 The installations are photographed and subsequently digitally reworked by the artist before printing. Quinn captures these species in their prime, rescuing them as it were from natural decay. He intentionally accentuates the voluptuous nature of the plants and flowers. 'Orchids are like perfectly evolved little sculptures in themselves, they're full of colour, interesting shapes and beauty. Even though they are a plant's reproductive organs, they pun on human ones too. They make you realise it is colour, life and sexuality that keeps the world turning'. Digital print with silkscreen glaze. Printed on 330gsm Somerset Satin Enhanced paper. Published by Manifold Editions 2012.